Importantly, the box must be changed and a new warning of death by suffocation must be added immediately. 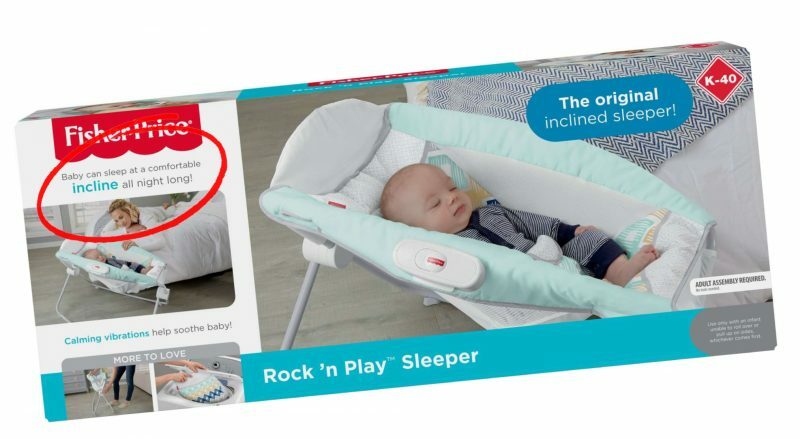 Currently the box reads: “Baby can sleep at a comfortable incline all night long.” In its statement, CPSC specifically references the life-saving fact to “always place infants to sleep on their back”. Fisher-Price is falling short of its self-declared “tradition of prioritizing safety” when it fails to warn parents of the greatest danger of all. Leesfeld Scolaro has a long and proven track-record of litigating against baby product manufacturers such as Fisher-Price, and forcing corporations to either modify their product, add warning labels, or both. Several decades ago, one of the very first cases in the early days of Ira H. Leesfield’s firm involved the death of a young child who suffocated while seated in a high chair. The successful lawsuit brought about changes throughout the high-chair industry, adding new regulations including straps and harnesses, tray size and mechanisms, age requirements, as well as clearly labeled box warnings and instruction booklet warnings. Fast-forward to last week, Thomas Scolaro and Thomas Graham filed suit in a tragic case where a nine-month old boy died while placed unrestrained and unbuckled in a car seat. Read more about Leesfield Scolaro’s verdicts and settlements. Last year, Leesfield Scolaro started the Furniture Tipping Over Facebook Page to keep parents and consumers award of the unsettling shortcomings in the furniture manufacturing industry which seem hell-bent on selling unsafe pieces of furniture with inherent tip-over propensity and risks of toddler’s death.